Gma? What does that mean? It is short for GRANDMA! Some time ago we got lazy in our typing messages back and forth we that shortened grandma and grandpa to gma and gpa....it stuck. Even the grandkids call them that! These are the pancakes my mom has been making since I was little kid. She always made shaped pancakes for my sister and I. 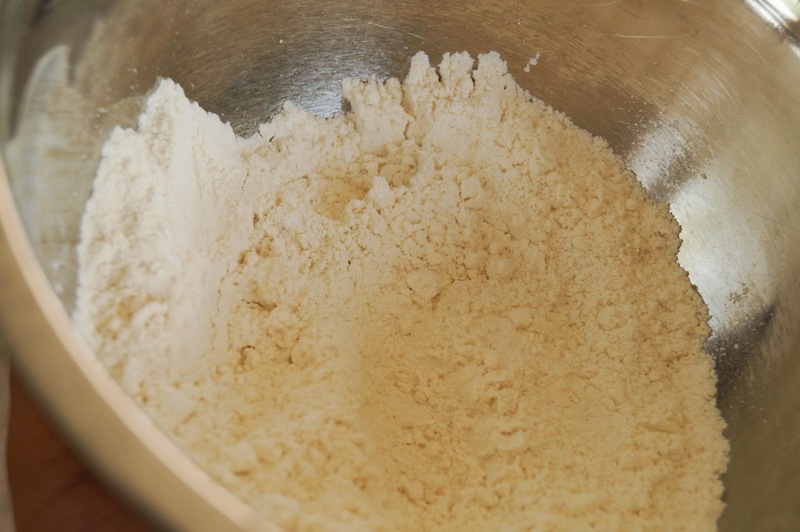 This is a thinner batter so it was easy to do. At the end of cooking she always made the 50 cent size pancakes and even if we had already had enough pancakes we always had room for those. Now she makes these pancakes with my daughter and my niece. The fun part now is that she lets them add coloring. So grandpa has eaten purple, pink, green, and sometimes blue pancakes! In separate bowl mix together wet ingredients. 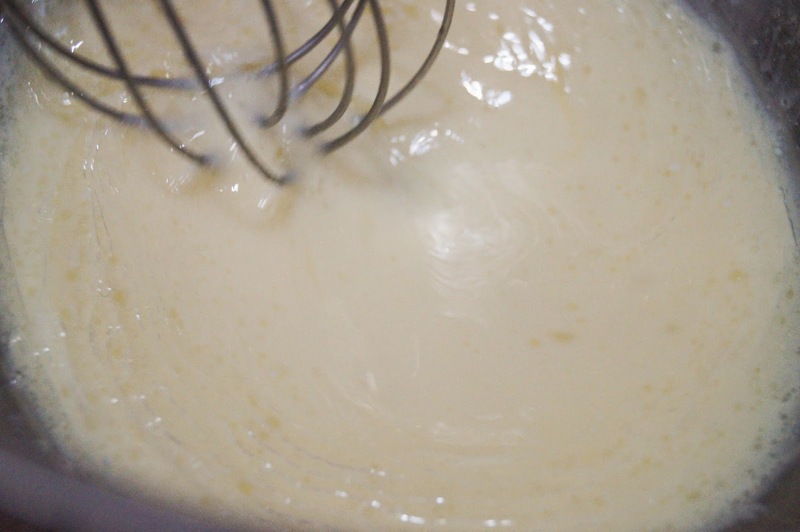 Add dry to wet and mix with a whisk until smooth. Heat griddle until warm. 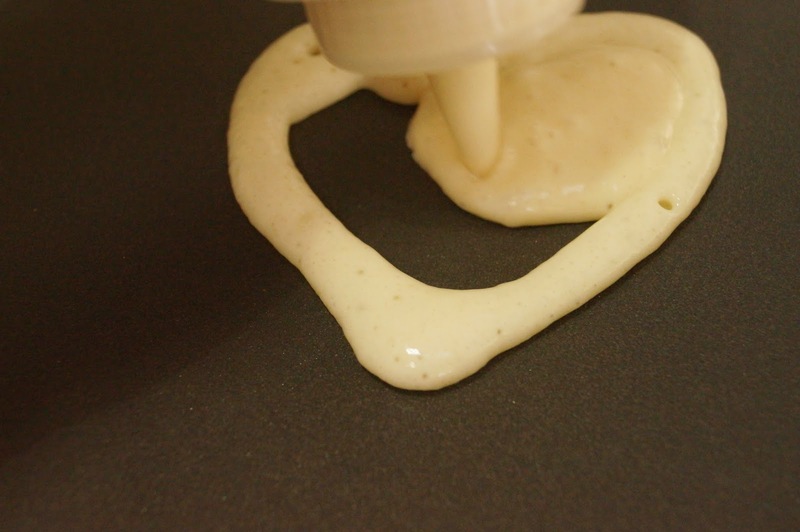 You can add your batter to a condiment bottle and make shapes or spread the batter around with the back of a spoon. Let the outline cook a little bit and then fill in the middle. Your inner part will be lighter and mine would have if I had let the outline cook just a wee bit longer. Cook until light brown on the underside and the bubbles on top pop. Gently flip and watch them rise!! Cook until light brown and cooked all the way through. 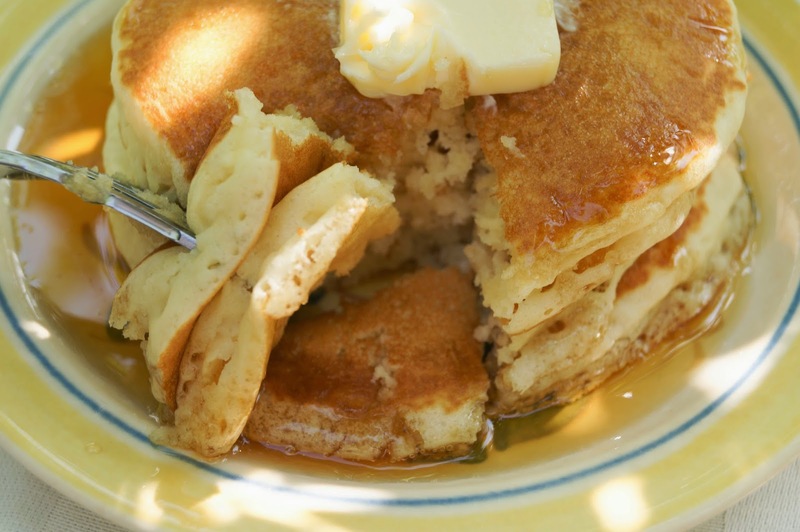 These are the lightest fluffiest pancakes you will ever eat!! Oh man these look REALLY good! Want some now! Of course I would be looking at this before I had breakfast and oh my they're making my stomach want them. They do look so fluffy, very nice. Oh these do sound so good. I need to make some, now I am hungry. Thanks for swinging by Catherine. yum!! those look amazing. love the hearts.. tweeting! and stumbling! Mom would do Mickey Mouse, dinosaurs, hearts, dogs, cat, nearly any shape we asked for! The condiment bottle makes details easier. It's so funny I knew who GMA was :) before reading the post. 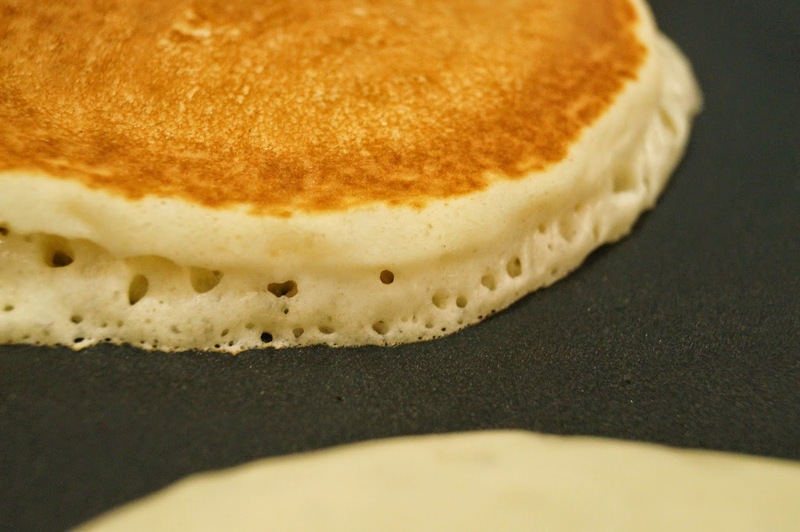 I love this light and fluffy pancake recipe. I think I'll make them for gpa this week when we have breakfast for dinner. Pinned/shared. He would love them I think! They look fantastic, and I love that first picture. Looks so good. I can never get my pancakes to look like that. 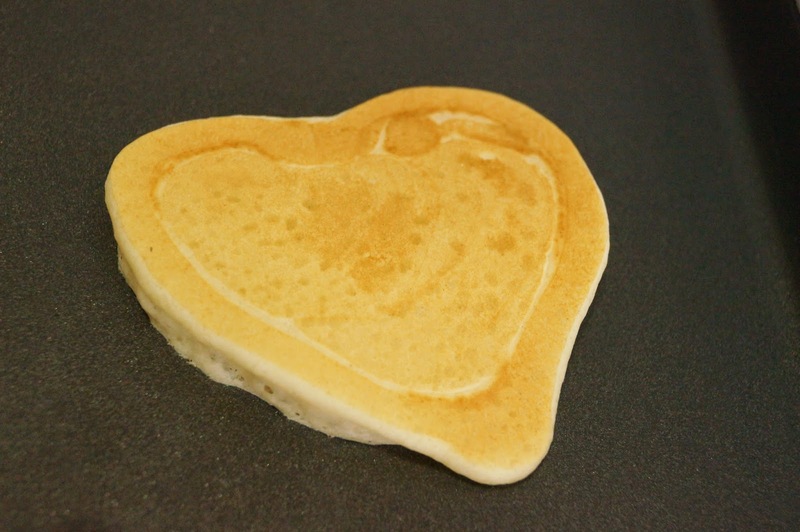 I love the heart pancake. You can do it Jazmine!! They are super easy! I love trying new pancake recipes! We eat them for dinner a lot. Pinned! My Mother always made pancakes in the shape of Charles De Gaulle, the French president. He had a big nose! What a cute blog you have! 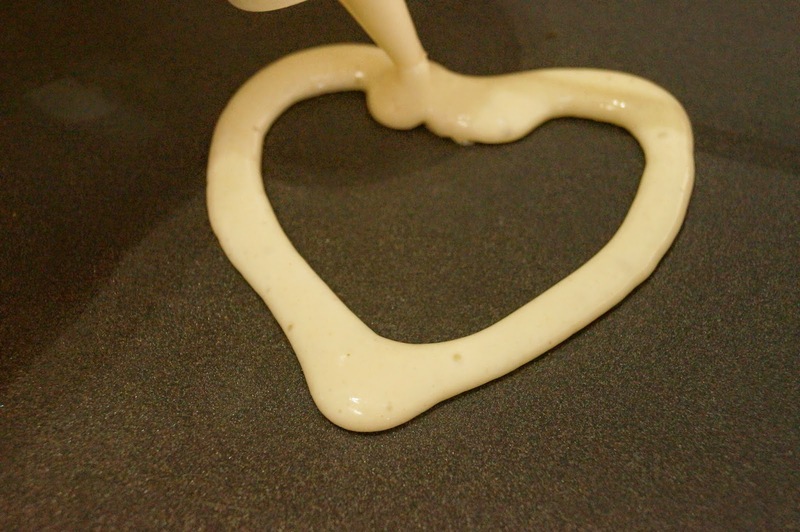 Love pancakes - thanks so much for the recipe! Thanks Kathy! Stop by anytime! Thanks Katherine. I always enjoy linking up with your party! I can't imagine how these could look any better! Thanks Dan!! Appreciate you stopping by! 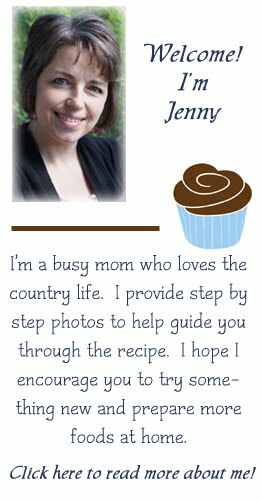 I am so glad you put this recipe on the blog hop. These pancakes looks heavenly and your photograph is absolutely OUTSTANDING. Great job Jenny. Thank you, it took some crazy inventive skills to get this one!! 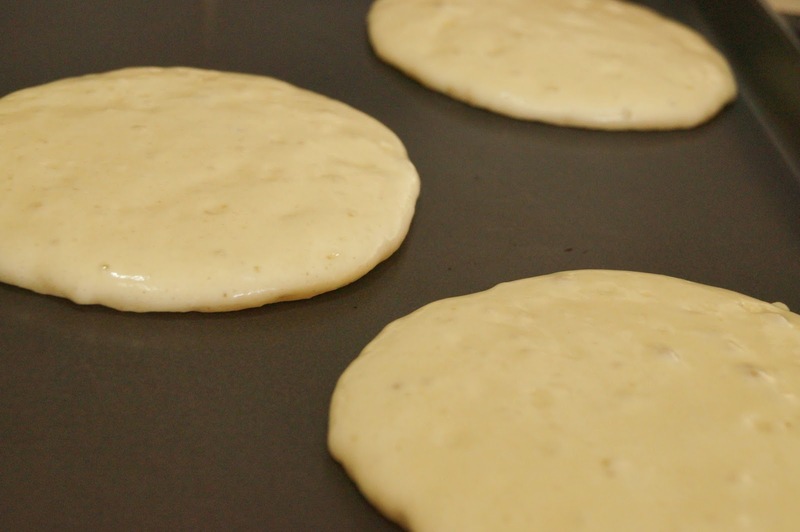 I love making homemade pancakes...they're so much better than the mix from a box. This looks good...thanks for sharing! Oh, these look yummy!! Pinning! Have a great day! Hi Jenny! Stopping over from Let's Get Real today. Tell Gma that her pancake recipe looks wonderful. They are really fluffy and beautiful. I bet it's fun to watch them puff up as they are cooking. I'll pass it on and yes, it is fun to watch them puff up. Science in work! Threw a few chocolate chips in and they'll dig em! 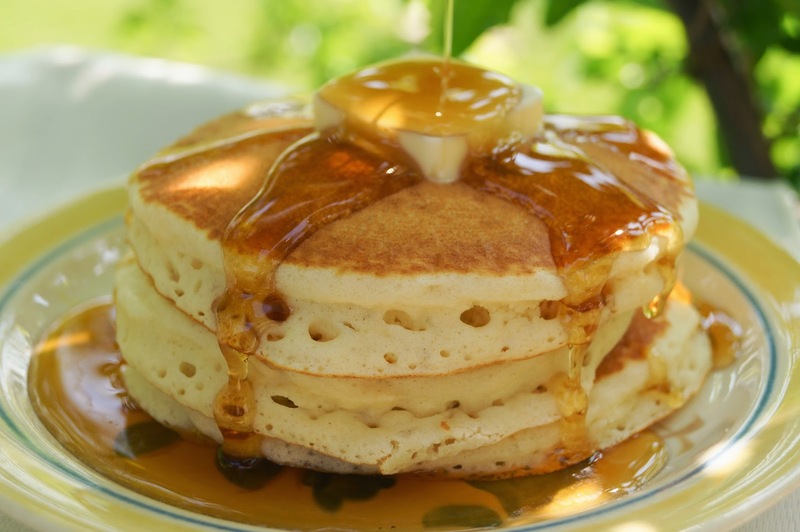 Those pancakes look PERFECT! Pinning! Oh my - they look delicious - and I have all of the ingredients in the cupboard so it looks like we're having pancakes for breakfast tomorrow! We make a feather light recipe almost identical. It's so yummy! Great pics. You are welcome. Join me on Facebook if you haven't already! These look lighter than air. Memorial Day breakfast, I think! They are and I hope you do, enjoy! G'day! Looks great! New liker! Congrats for also being featured in the Olive and Grapevine weekly! 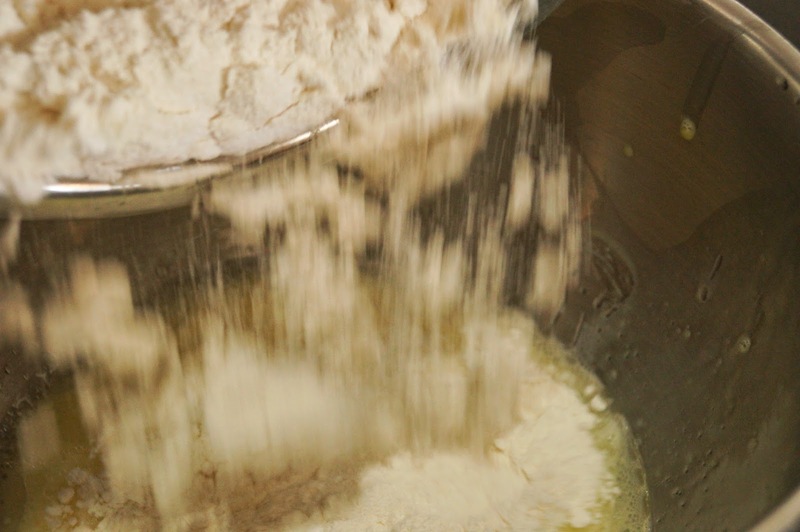 Could you please tell me if you use self rising or plain flour? All purpose flour Housten. There is baking powder in the ingredients to make them rise. 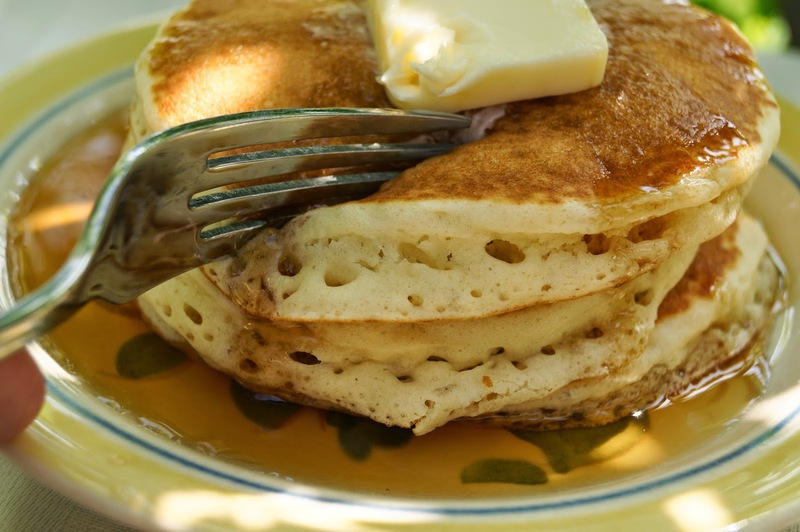 Love pancakes and you can never have enough pancake recipes to try. Pinned. Thanks for sharing on The Weekend Social. Mmmmm, pancakes! Can I come to your house for breakfast? Love how fluffy they are and they sound delish. Stopping by from Simple Supper Tuesday. Those look so delicious. And not even using Bisquick? Wow. Visiting from Make it Pretty Monday. Thank you for linking up at Wonderful Wednesday blog hop. They look so light, fluffy and delicious! They are!! Great childhood memory here! I love fluffy pancakes! Thanks for the recipe. These look delicious! Oh my, these look yummy. My daughter (12 yrs old) loves making and eating pancakes, I'll have to share your recipe with her. Thanks for sharing via Mommy Monday Blog Hop. These look delicious! What would happen if I substituted the regular milk for buttermilk? My guess is that they would be a little bit more tangy and perhaps you might need to cut back the baking powder. Ohmygosh. These were AH-mazing!!!!!! I used buttermilk instead of the regular milk and had to add a bit of water for consistency, but DUDE. So good and so easy! :-) Thank you!! I used sprouted wheat flour as the flour. Can you use for waffles too? thank you so much for the recipe! i live in Hong Kong so pancakes r not too popular here n I've been having difficulties getting the pancakes fluffy but ur recipe works magic!! i put ur pancakes with cream cheese and smoke salmon on top for dinner appetiser n it worked fantastic! Since there isn't a lot of sugar in these I think that it might play too big a part in how they cook. I think you could give it a shot Kelly. I just can't say otherwise as I don't use sweeteners.